…by opposing tax abatement for big business. There is crucial legislation on the table and that needs your voice. BY TOMORROW 12/10! Please read the following email from Trisha Clauson, our Local First DC contact, and a letter to DC Council Chairman Gray. You can lend your signature by following the instructions below. Thanks for your support! Please help us oppose legislation that would give a $7 million tax abatement to CoStar, a Bethesda-based company, by signing on to the letter below. The Council will vote on the legislation next Tuesday so we need you to sign on to the letter by COB Thursday, December 10th . To sign on, simply send an email to TCLAUSON@ledcmetro.org with your name, business name and Ward number. 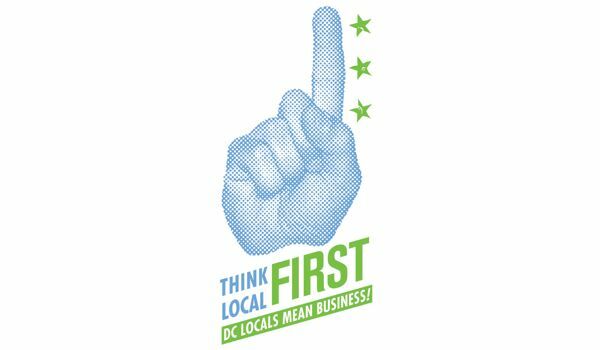 Let’s show DC Government how much local businesses care about smart economic development measures that support small businesses, the engine of our economy! We are writing to express our opposition to legislation that would give a 10-year, 100-percent property tax abatement to CoStar — a Bethesda-based real estate information company — if it moves into downtown DC. The High Technology Commercial Real Estate Database and Service Providers Tax Abatement Act of 2009 does not list a beneficiary, but it is widely understood that CoStar is the target company. The tax break for CoStar would cost the District up to $700,000 per year for 10 years. We urge the Council to reject this legislation. It does not make sense to take a portion of DC’s most valuable real estate off the tax rolls for 10 years or to target economic development resources on large businesses in downtown DC, rather than on small businesses and other parts of the city. The fact that CoStar would not have to hire any additional employees and would have to stay in DC only 5 years are further indications that this is not a well-designed tax subsidy. Moreover, the District is facing a tremendous economic and financial crisis. Falling revenue collections have led to cuts in every part of the DC budget over the past year, at a time when unemployment is at a record level and need for government supports is rising. The city already projects a new $300 million shortfall for fiscal year 2011. Creating new downtown office tax breaks for CoStar would only increase the city’s budget problems. The District’s economic development efforts should focus on small businesses and neighborhoods, not downtown office space. Even in the midst of the economic downturn, the District has a very competitive office market. DC’s office vacancy rate is the second lowest in the nation — and far lower than in the DC suburbs. Also, rents for DC office space are on the rise, one of the few markets in the nation where this is occurring. The District does not need to target economic development incentives on the downtown office market. Bringing CoStar into the District will not improve employment for DC residents. CoStar would receive a tax break simply for moving its current employees into the District. It would not be required to hire any new employees. The CoStar tax abatement will not spur new development. If CoStar moves into an existing office building in downtown DC, it would not noticeably affect the downtown business climate. There is no evidence that CoStar needs a tax incentive to succeed in the District. The Washington Business Journal notes Costar is a successful company that has performed well in recent years, despite the real estate downturn. It is unfair to target one business for tax reductions. CoStar would pay no property taxes to the District for 10 years, while most other businesses across the city would continue to pay their full property tax bills. In the end, the proposed CoStar tax break is an ad hoc policy and not part of a comprehensive economic development plan. It does not reflect an analysis of economic development needs or of the parts of the city most in need of such assistance. It should be rejected. “D.C. office vacancies second lowest in the nation,” Washington Business Journal, October 7, 2009. “CoStar may move to D.C. if incentives become available,” Washington Business Journal, November 20, 2009.